A home improvement project is a major undertaking, whether it’s a bedroom remodel, bathroom remodel, window replacement or anything else. You can expect a lot of dust, noise and activity, and the commotion can affect more than just your own household. It is your responsibility to practice good remodeling etiquette while this is going on. You need to let your neighbors know that you are planning to remodel your home well in advance of the start of your project. Talk to your neighbors and inform them of the scope of the project, how long it’s expected to last and who they can contact if there is a problem. Pay attention to your neighbors’ schedules and take this into consideration when setting your contractor’s work hours. It’s important to be respectful of your neighbors during a home remodeling project. Make sure your remodeler gets the proper permits and abides by local codes and regulations as you start your home remodeling project. Permits demonstrate that you have taken proper steps to make sure that your remodel is legal. Display the permit in a window where your neighbors can see it if they have any questions about your project. During the project, check in with your neighbors regularly and ask them if they have any concerns. After the renovation, you may want to invite your neighbors to see the results of your remodel. Make sure to let them know that you appreciate their patience and understanding. 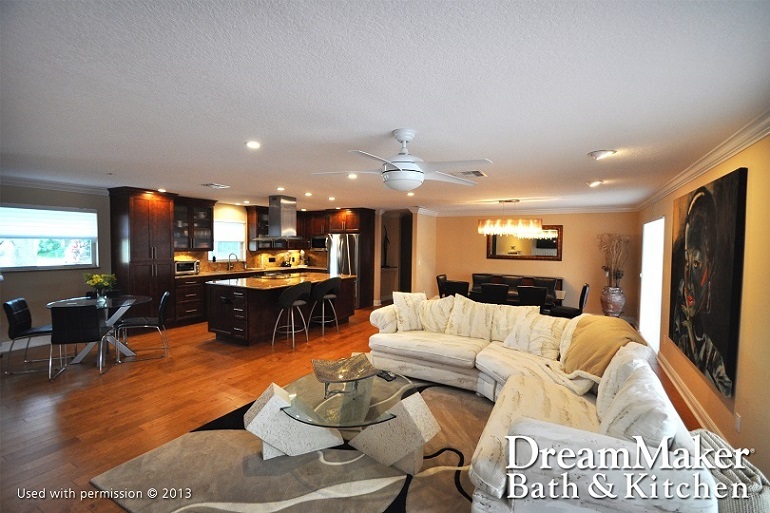 DreamMaker Bath & Kitchen of St. Louis Park is one of the leading kitchen remodeling contractors in our local area. One of the reasons for our success is the DreamMaker Code of Values™, which emphasizes respect. We always do our best to minimize disruptions and noise when we work on a project. Call us at (954) 637-6386 today to learn more about our services and products, or to schedule a consultation.